The United States is home to a large number of foreign restaurants. From Chinese to Korean, Indian to Mexican, Americans can experience the taste of another land just by stepping out of their houses or dialing a number. Today, one of the growing cuisines in the food industry is the introduction of Jamaican or Caribbean foods. This has probably been in the US since the time of Christopher Columbus but has only recently gone out of the box to meet the needs of the city eaters. Jamaican food is usually flavored with different spices such as ginger, nutmeg, and the famous all-spice. Little did everyone know that the all-spice is a native of Jamaica. It is dried berries from the pimento plant and is usually roasted then completely powdered. Most meals in Jamaican households is accompanied by a bammy, a toasted bread wafer that is made from cassava. Fish and seafood is also common, however, the best food the Jamaicans have incorporated in the US is their Jamaican patty. Although urban legends state they really did not originate from Jamaica but from various collaborations of Caribbean cultures, the Jamaicans are the ones who have introduced it in the US, as the name implies. The first Jamaican patty has been made by English men, using meat pies. Jamaicans added their own twist by mixing in curry and cumin, making today’s Jamaican patties extremely delicious and with a distinct flavor. Jamaican patties can be related to the Latin American empanada, the Italian calzone, the Arabic, North African and Turkish sambousa, the Eastern European and Yiddish knish, and even to the well-known American microwaveable Hot Pocket, which most kids love. Jamaican patties are a very popular food snack choice for both kids and adults. These foods are extremely well known all over the world, probably because of its rich history and culture. Sometimes, people attribute the consumption of these delicious snacks to a class determination. However, as most patties are eaten by many different people and are affordable, this has been forgotten once it reached foreign land. Natives also enjoy the delicious taste of the Jamaican patties. In fact, they are considered a staple of the Caribbean diet and are mostly enjoyed as a daily snack or eaten in-between meals. 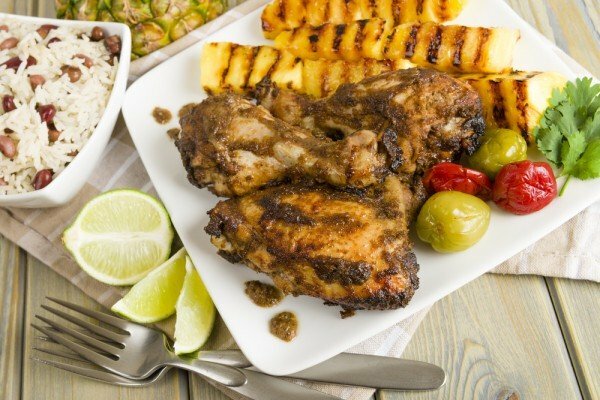 They are synonymous with the Caribbean cuisine and have expanded into many markets to be enjoyed by a wide array of people from all walks of life. There are several delicious flavors of Jamaican patties available on the market today but originally, it was only a choice between beef, chicken, seafood or vegetable. The beef patties are the most common because it just goes perfectly well with the crust. 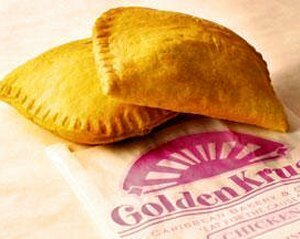 New York-based Golden Krust has made it all possible. The delicious meat pockets have made it feel as if they are nutritious, fast food treats. Made from spicy beef, chicken, vegetable and other Caribbean goodness, these treats are extremely good and easy to eat. The owner believes that people are more adventurous now thus are more willing to try anything that comes to their plates. They are also vied to be the next pizza, meaning their popularity is so high, people will actually consider it as one of the top takeout foods in the country. Besides their authentic taste and rich culture, the Jamaican patties are really the best takeout food. Brightly decorated in yellow and orange tiles, the restaurants offer limited seating. And the price is off the roof, retailing one patty at a dollar and 35 cents! Talk about value and quality in one. In 2003, due to a four-year contract with city public schools, the Jamaican patties were introduced to potential future customers. Instead of letting the kids have pizza or burgers, the Jamaican Patty looks like the best food choice to incorporate a healthier option and at the same time, increase awareness of children to different cultures. There is much to see and do before the country fully embrace the invasion of new foods and culture. Fortunately, the slowly yet surely way of how Jamaican patties have penetrated the consciousness and taste buds of Americans gives hope to other foreign cuisines to provide better food options in the land of burgers and milkshakes.